FHA 223f Apartment Loan $2,100,000 apartment financing for project in historic Dallas neighborhood. FHA Streamline Refinance for Tucson Arizona apartments case study using FHA 223a7 apartment refinance loan. Apartment Financing America provided a 35 year, fixed rate, FHA 223f apartment loan to finance the acquisition of the 240 unit Fort Hood Apartments located in Killeen, Texas. 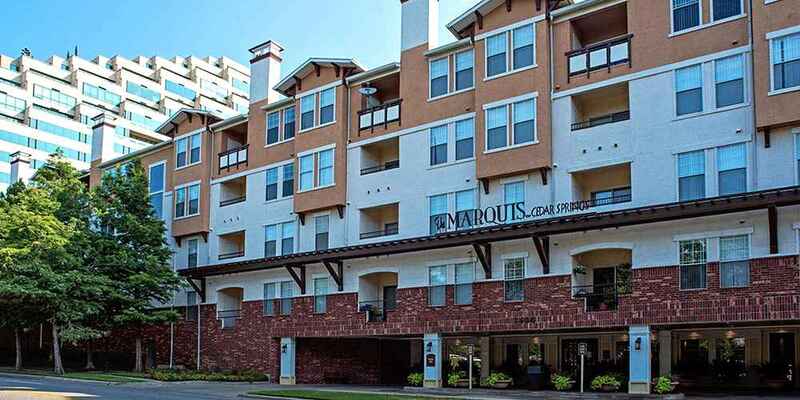 FNMA DUS multifamily loan Dallas Texas $6,480,000 for Park Gates of City Place Apartments case study. Imagine getting an apartment loan that will actually make your deal more successful. Get confidential loan quote today and see what we can do for your deal. Our Apartment Loan Portfolio provides detailed multifamily lending case studies that show the impact that extremely competitive, well priced financing can have on virtually every type of real estate project. With more than four decades of experience, we devote the real estate lending expertise needed to insure that every loan we place outperforms all mortgage industry metrics for every loan product type. The real strength of our lending expertise is apartment loans and other GSE loan products. Our apartment financing expertise and successful track record with apartment lending sets us apart from virtually the entire mortgage lending industry. Whether you need apartment financing to acquire, build, rehab or refinance a multifamily project, Apartment Financing America successfully provides more apartment loans than most mortgage banking firms in the industry. Review our Apartment Loan Portfolio to learn more about the apartment loans we successfully provide to multifamily developers whenever we are called upon. Our Apartment Loan Portfolio provides information about our recent closings of apartment loans, including FHA apartment loans, Fannie Mae apartment loans and other loan types closed by Kathryn Thompson and Apartment Financing America. Internal flypaper: apartment loan closings, recent apartment loan closings, apartment loan case study, apartment loan case studies, apartment loan portfolio, multifamily loan closings, recent multifamily loan closings, multifamily loan case study, multifamily loan case studies, multifamily loan portfolio.